Mind if I come in here with some words yo? I hope you’re reading this because this is way better read. What is [adult swim]? I’m not asking you, so don’t give me an answer. [adult swim] Is a television and media broadcasting company owned by Time Warner Cable. [adult swim] does a live broadcast every night after Cartoon Network goes to bed. If you stayed up this late then, like me, you’ve been scarred by this channel and you, like me, have a post-ironic nostalgic craving for a wad of meat. 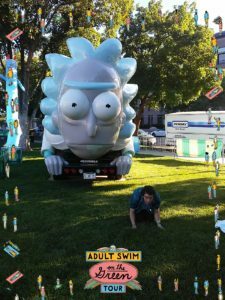 This past weekend on June 23, 2017, I had the wonderful opportunity to attend an [adult swim] touring festival. After arriving and hearing the music I could already tell I was in for a treat. They played a lot of songs made popular by [adult swim]. Before I got into the place, they required me to allow them access to my social media information. I gave them some real bogus information because you never know what they can do with all of that sweet, sweet personal data. Then they gave me this wristband that had this panel to scan at the different giveaway areas in order to keep people from taking too much free swag. The paranoia in me thought it was a panel for mind control. I realize, in retrospect, the mind control came from the feature presentation at the end of the night. When I was more of a child I would attend these elementary school fairs. The school would rent all kinds of fun and games to put out in a field. Those are some of my fondest memories. Going to this event took me back to that place. The lawn was littered with activities! Croquet, connect four, large Jenga™, a Geico™-sponsored prize eye. The prize eye was a large eye that when spun. it allowed you to keep your eyes on the prize and on the prize eye. Because the prize eye will reveal your prize if you keep your eyes on the prize eye and on the prize. I won a towel with Mr. Poopybutthole from Rick and Morty on it. 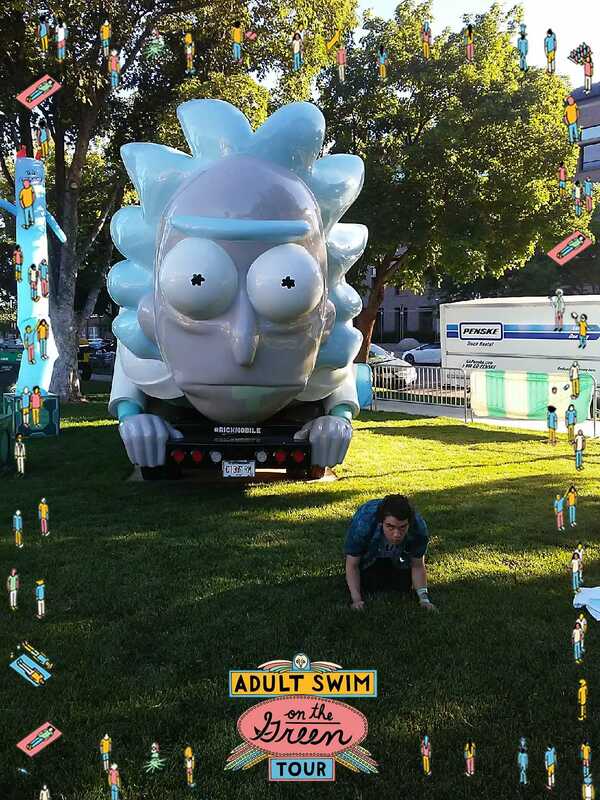 There was a tent that upon entering you are led to a screen that asks you to give feedback on your experiences with [adult swim] and in return, you get a dank poster. I got to take my photo with the Rick Mobile™ and they even hooked it up with popcorn and candy. None of that cheap stuff. I’m talking high-quality Italian knit popcorn and candy. This was all to k eep the crowd occupied as we awaited the main event. The screening of things never before seen. The Lawn was set up so there were activities on the outside perimeter and an empty field in the middle. People set up in the field and faced an extremely large LED High definition screen. Before they played the fresh content everyone was invited to play trivia. That was mostly unrelated to [adult swim]. Once the trivia had wrapped up, there was a personal message from a live stream and a Geico™ commercial and then the moment had arrived to see some brand new content. 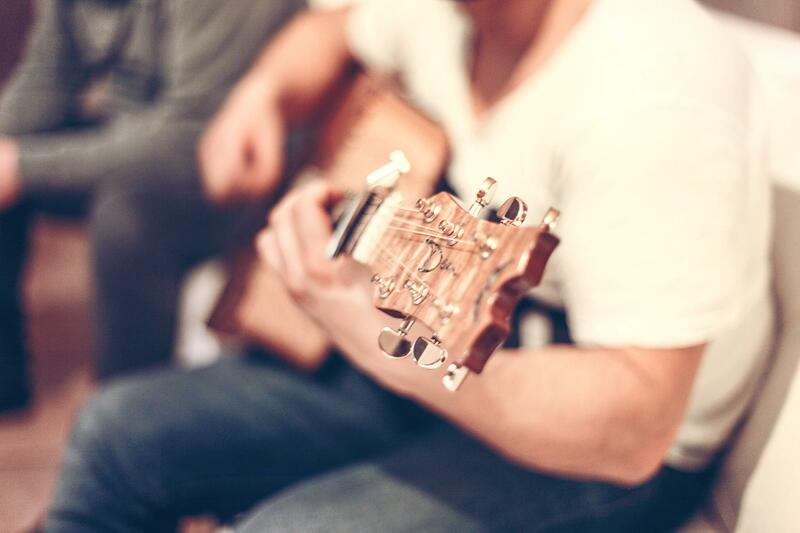 You can expect to see a lot of upgrades and advancements being made to the channel thanks to its growing popularity. Tyler The Creator will be putting out a new cartoon. The show Squidbillies is getting a spit shine and will be returning this fall. A little quote from the episode about conspiracy theories. The Sheriff and Early are in a room where there are all kinds of bits of paper and pictures connected by red strings. The Sheriff stumbling in and pulling down strings says “Sorry I messed up your thing, I had no idea the conspiracy ran this deep.” To which Early replies, “That’s alright let me just make some more connections.” He then proceeds to, using a can of silly string, randomly connect different areas in the room which he only makes justifications for, after he’s already connected them. Other new shows coming. Apollo Gauntlet, Tigtone, Lazer Wulf and always more and more. Really what you need to know is the new shows are all off-the-wall random and perfect for smoking a fatty and frying all night or a sober night that you want to feel like you are on drugs. 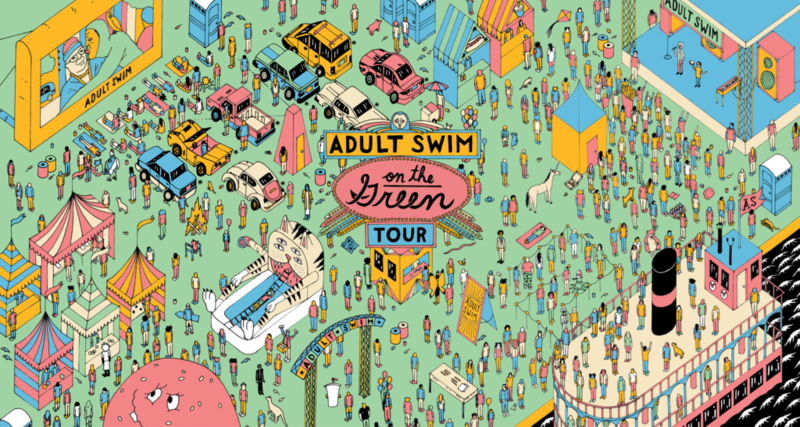 If this is you, [adult swim] is just what you need. The grand finale was an episode of Rick and Morty, season three, episode one. This is an episode I’ve already seen several times but it was fun to see it on such a big screen surrounded by laughter. After that, I thanked the Lord, put on my moon boots and jogged back to Salt Lake From Ogden. What a great night!